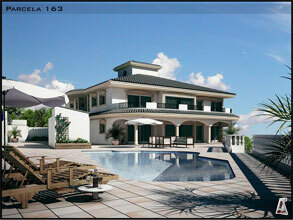 With this concept we have set ourselves a new challenge: to build the house you have always wanted. A house designed from the very start according to your tastes and needs, in either a traditional or modern style and always with the highest quality design and sustainability. Spaces created especially for you. Design your own home, or if you prefer, personalize one of our designs to suit your needs. Energy efficient homes; our insulation systems save you big money on heating and cooling costs, while providing maximum comfort. Radiating floors, cooling, heat pumps, solar water-heating, photovoltaic and/or geothermal installations are all possible, depending on the characteristics of each block of land. Having your own energy supply means low-cost living and a positive energetic (and economic) balance. 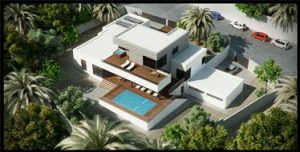 Bioclimatic houses (depending on orientation) and the very latest in technology, design and equipment. We have blocks in the most exclusive areas of the Marina Baixa: El Albir, Altea, Sierra Cortina etc. Blocks start from 350m2 and are ideally located. 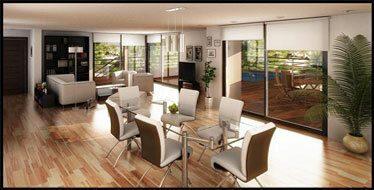 They have excellent views and comply with planning and development laws. We have initial projects adapted to each individual block. We can also build on your own existing block. With over twenty-five years’ experience building houses we have discovered the key to an excellent end result: anticipate every cost, draw up exclusive plans with high added value in design and quality, carefully coordinate all of the professionals, businesses and administrative bodies that are involved in the build and ensure that your team is made up of highly qualified professionals and managers. Our homes are built at a fixed-price, which is set once the project has been defined. The prices we offer are guaranteed in accordance with Law 57/68, and are quality controlled by an independent company, with a 10-year insurance policy covering any construction defects. We also offer post-sale service. Design and quality cost less than they are actually worth, and are values which increase over time. You will not have to pay for what you don’t need, there will be no need for reforms, you will save on maintenance and you will be able to get the best financing deals. We look forward to showing you what we can do for you. Come and see us, and together we will build the house of your dreams. See examples about Bespoke house.